The eighth final season of "Game of Thrones" starts April 14 on HBO. It will consist of six 90-minute episodes. Watch the trailer. That’s what Jon Snow says in the trailer for the final season of “Game of Thrones,” released Tuesday by HBO, and he’s obviously referring to the ultimate showdown between our heroes and the zombielike White Walkers. The tense trailer shows armies on land and on sea, and Dany’s dragons flying through the air as she and Jon lead men into battle. Sansa Stark looks up from the top of Winterfell to see dragons flying overhead; Tyrion Lannister looks at — something — in wonder, while his sister Cersei smiles wickedly. 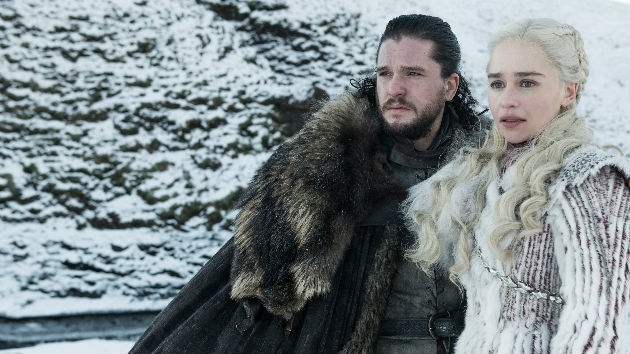 The eighth final season of “Game of Thrones” starts April 14 on HBO. It will consist of six 90-minute episodes.